Pincher Creek, Alberta writer Murray Pura offers a new take on the Arthurian legends through his two The Name of the Hawk series. The two series are a throwback to the days of Charles Dickens novels and Sir Arthur Conan Doyle’s Sherlock Holmes mysteries. Authors would release a bit of their stories at a time in the magazines or newspapers before a publisher would release the full story or novel in a book. 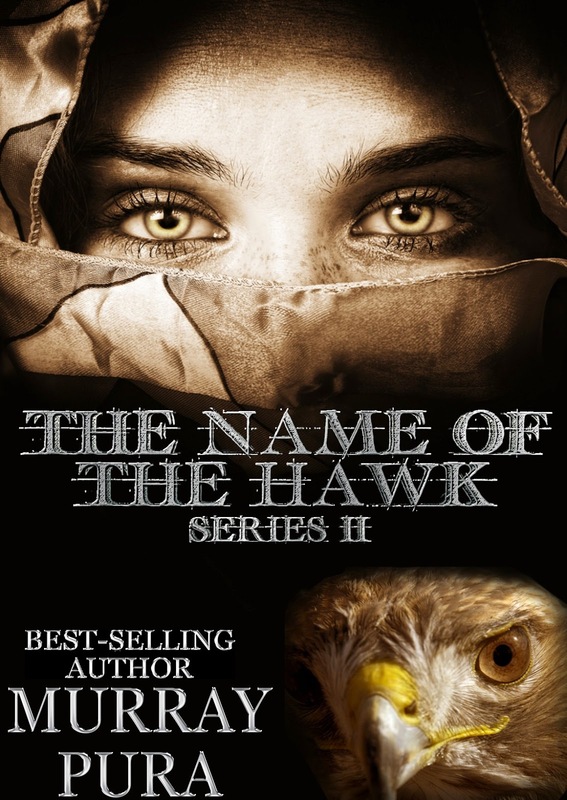 Pura has taken the e-book route with both The Name of the Hawk series, releasing a volume (in essence a chapter) at a time. Last year’s series, a six volume novel, introduced the reader to Hawk, a young man ready to leave his island home on the pilgrimage that marked his entry in to adulthood. The not-so-chance arrival of a boatload of Danes changes the direction of Hawk’s journey and adds his love interest Skaytha and her companions to the journey. After a few physical and spiritual trials, Hawk et al leave the Danes, travel across unknown lands and end up in Jerusalem. There he meets Galahad, one of King Arthur’s Knights of the Round Table. The two reluctantly team up to find the true cross. There’s more than a twist or two in this tale, most of which revolves around the relationship between Hawk and Galahad. Which shouldn’t really be a surprise, since the grail quest is a key part of the Arthurian story. While this is only the first volume, based on the first series, I’m betting this grail quest ends up taking a markedly different direction than what’s found in other treatments of the legend. 1) A nod to the Galad/Galahad controversy: is this the same person but with different spellings or are these two different people? In Pura’s interpretation, these are definitely two sides of the same coin. 2) A compare/contrast approach to Celtic and Roman Christianity: Hawk represents the Celtic approach, which is personal, intuitive and structured around the community. Galahad represents the Roman approach, which is centred around the church and priests. Pura shows, through the interaction between the two as they, that a melding of both approaches produces a deeper, richer spirituality. 3) A sense of humour: This began in the first series, when Hawk met Galahad and insisted that Arthur and the Knights of the Round Table were fables. And Galahad’s knightly speech patterns remain a constant source of amusement for and ridicule from Hawk. Pura’s clean, conversational writing style makes the books an easy read. That doesn’t mean they’re simplistic – there’s an unexpected depth to the narrative, especially for those who are fans of the Arthurian genre. I’m looking forward to the rest of Series II of The Name of the Hawk and eagerly curious about how the grail quest will end. If it’s anything like the search for the true Cross in Series I, it will be nothing like I’ve read in the past.